Main Puteri is a healing performance tradition found mainly in the north-eastern Malaysian state of Kelantan. It incorporates elements of dance, music, trance and ritual to cure patients suffering from emotional or spiritual illness. In the Kelantanese worldview, such illnesses are due either to an attack by malignant or unsettled spirits, a loss of semangat (soul or life-essence) or an imbalance of angin (inner wind) within a patient’s body. The principal figure in a Main Puteri performance is the tok puteri (spirit medium) who serves as both spirit-medium and healer. He is assisted by a tok minduk who acts as a spirit-interrogator and usually also plays the rebab (spike fiddle), leading the musical ensemble. As the tok puteri summons, into his own body, the spirit responsible for causing the patient’s illness, the tok minduk questions the spirit to ascertain its identity and determine why the spirit is unsettled. 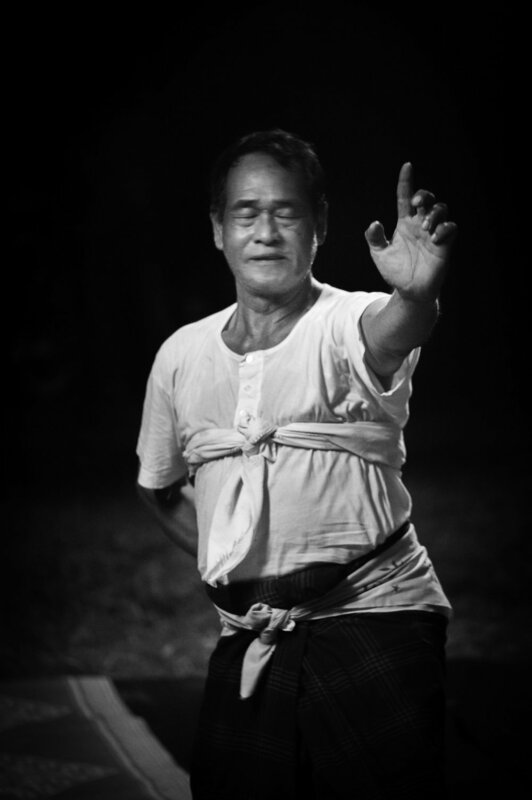 As the spirit takes possession of him, the tok puteri dances in a state of trance. Negotiations and offerings take place to appease the spirit to ensure that it will cease disturbing the patient. If the illness is due to loss of semangat or an imbalance of angin, the patient is encouraged to physically participate in the performance to bring about his or her emotional and spiritual release.